I've been getting this nonsense constantly over the last two days. Started on videos, now happening navigating pages. 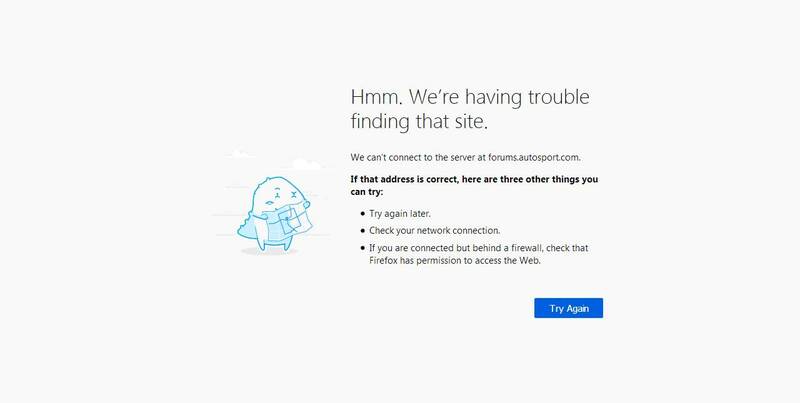 Tried many other sites and it doesn't replicate so it's Autosport specific. Win7 Firefox Quantum. Always seems to connect by clicking on try again button. Edited by milestone 11, 18 March 2019 - 12:41.